Sometimes only the crisp crunch of juicy hot chicken right from the frier will do. Calories be damned. It’s fried chicken time! Here are some of the better examples we’ve tried across Salt Lake City and Utah. Curry. Fried. Chicken. Just take a moment for that to sink in. Spicy, richly aromatic and punching with Indian flavor – this chicken is legit. Indeed, it’s great fried chicken in it’s own right, the seasoning simply takes it over the top. The modest fast casual space is close to downtown and perfect for grab and go lunches and dinner. The guys behind South Jordan’s The Angry Korean started their culinary careers in Utah with just a few inches of cooking space in a food truck. That all changed when they opened their first bricks and mortar store in 2019. Their fried chicken is crisp, sticky, sweet and spicy – be sure to ask for plenty of napkins! 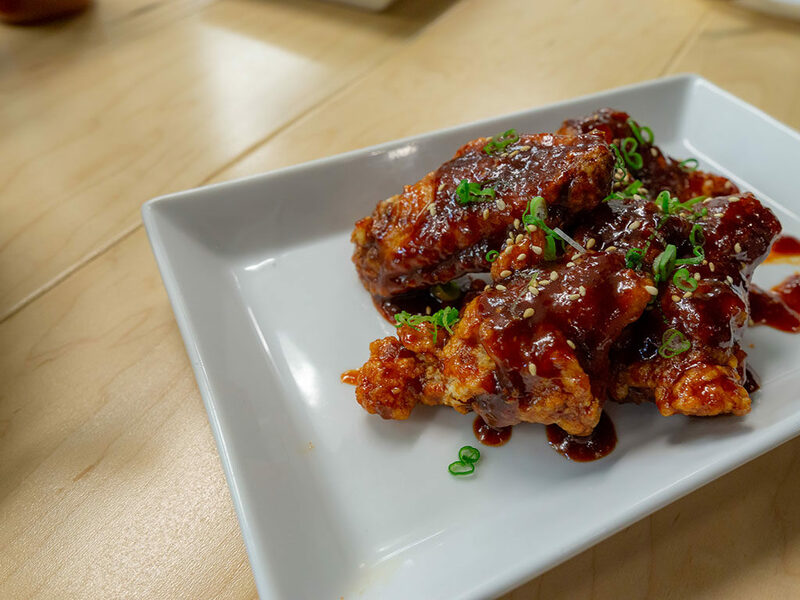 The version comes in both milder and spicier versions, so don’t worry if you like your Korean fried chicken at either end of the spectrum – they have you covered. These bite sized morsels of crunch fun are flavored with a five spice powder and hoisin. 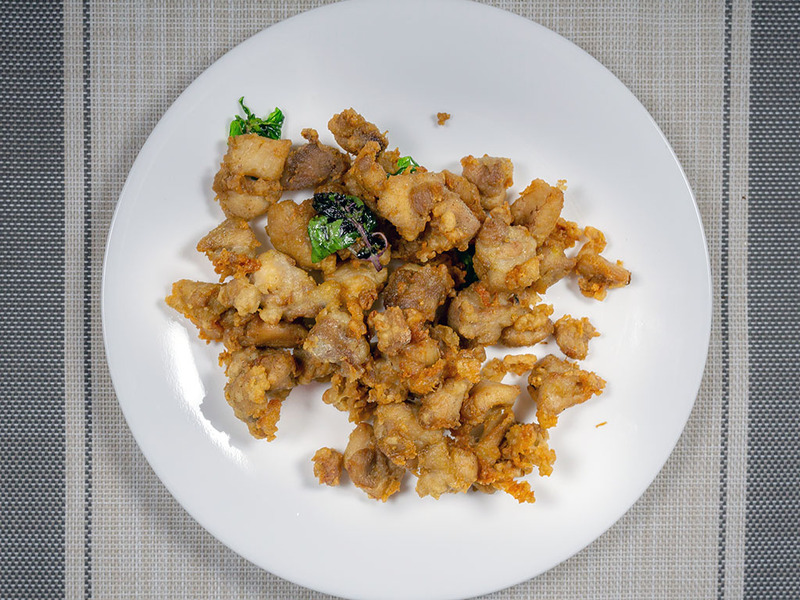 This Taiwanese preparation can be found at Mom’s Kitchen in South Salt Lake and is just as good as a snack to share, or greedily gobble up all to yourself. 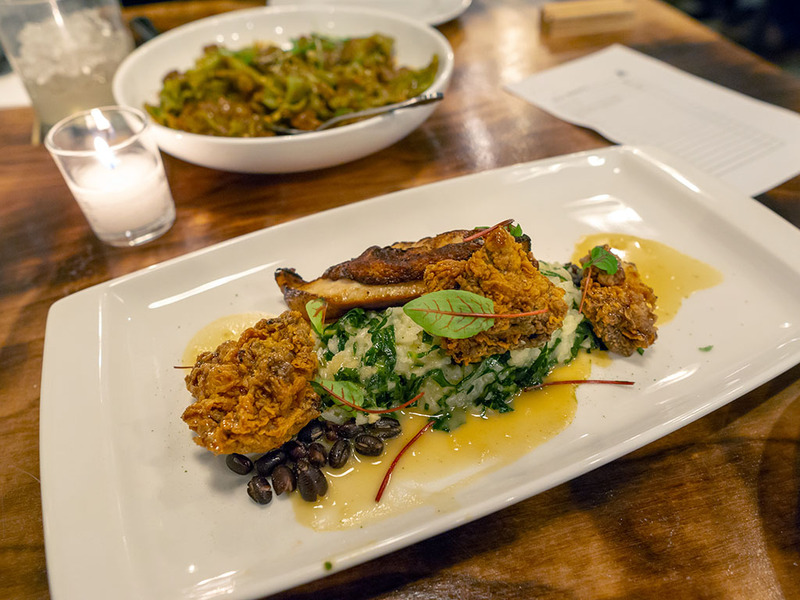 The chef driven menu at SLC Eatery is always subject to change – but if you see their fried chicken on the menu – bite their hands off and order right away. These guys cook a mean chicken and it’s not to be missed. Let it never be said we’re foodie snobs here. 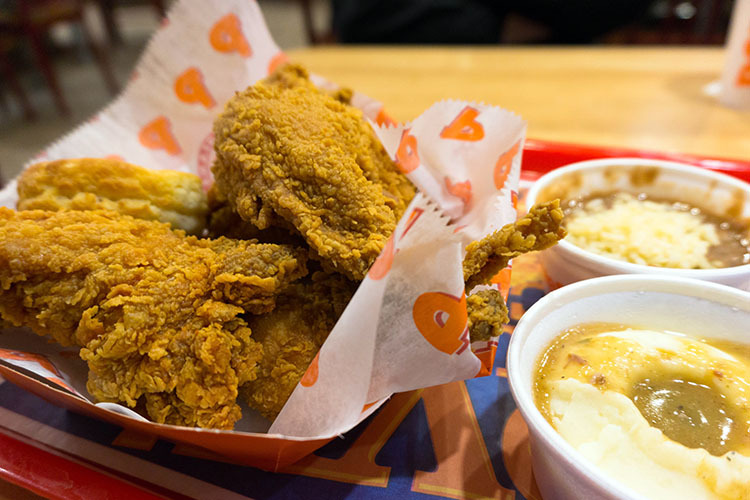 Salt Lake City is home to multiple locations of Popeye’s and it’s one of the better fast food fried chickens going. And we say that even though KFC started right here in Salt Lake City. In fact you can still visit the very first KFC right here in SLC. 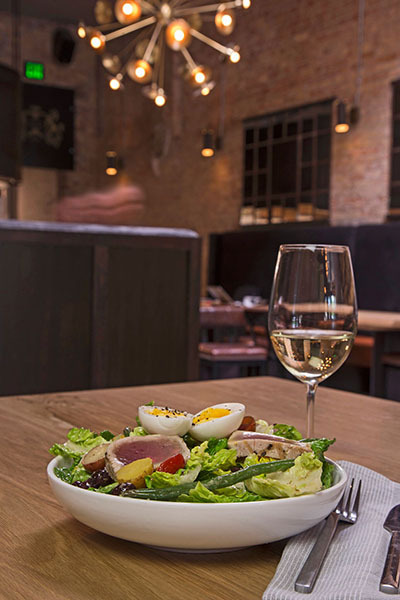 When Viet Pham left his popular fine dining gig at Forage, folks probably understood the move; his subsequent media career saw him feature on a myriad of TV shows, including famously beating Bobbly Flay. When he returned to the dining scene, many didn’t expect fried chicken to be the vehicle that brought him back. 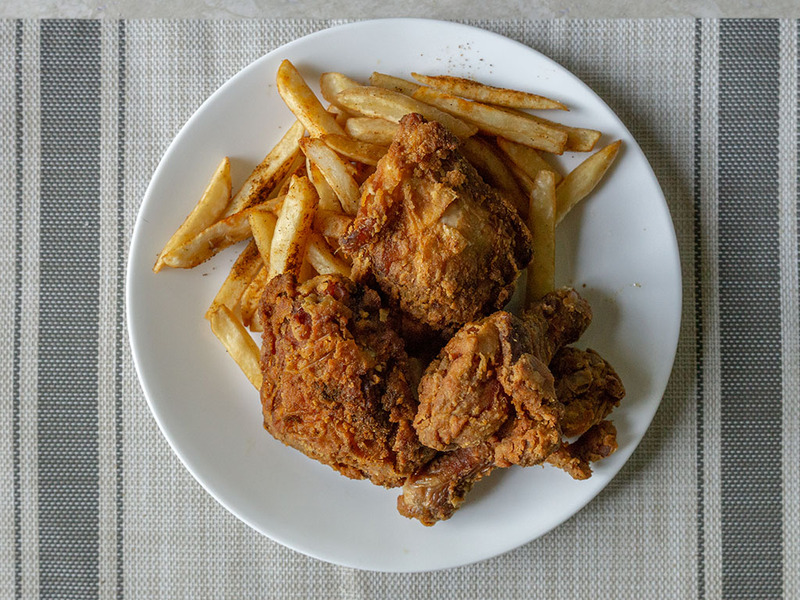 Pham’s fried chicken honors the best of Nashville spicy fried chicken. 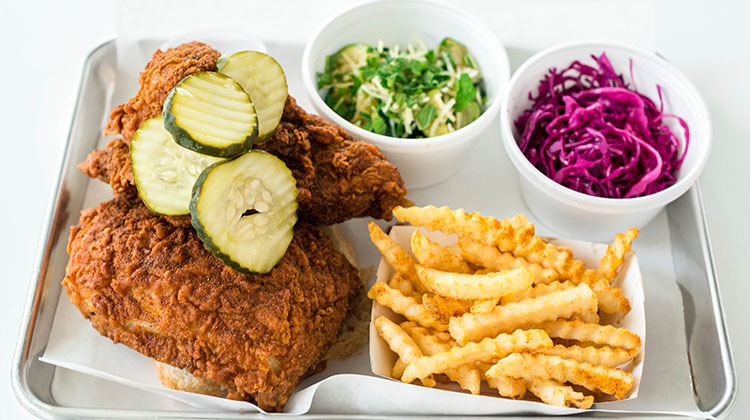 his tiny miss and you’ll blink it spot in Downtown SLC offers basically two dishes – a fried chicken plate, or a fried chicken sandwich. Each is offered in various spice levels. Sides are minimal too – the star of the show here is fried chicken and it more than regularly sells out. 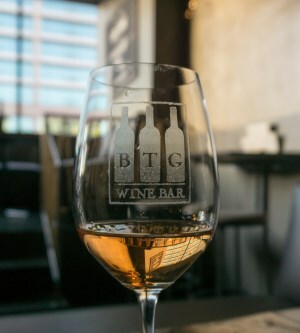 This hip bar on the edge of Downtown SLC has a special affinity with the deep fat frier – a good thing in our books. 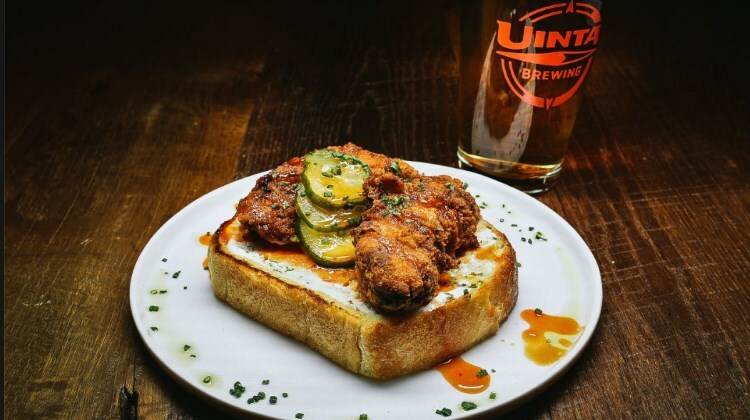 The fried chicken above comes plated on a big fat slice of bread and comes with crema, chives, pickles and a side of buffalo sauce.